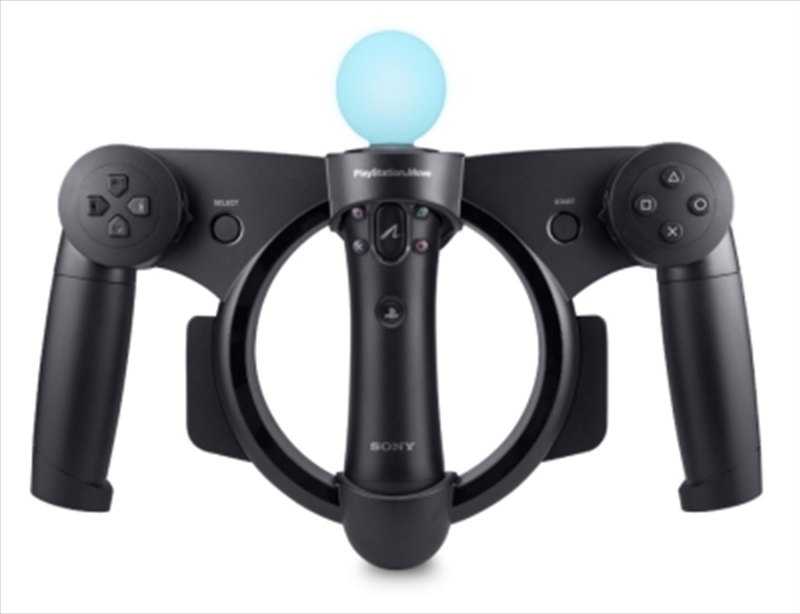 Whether you're on a sports bike or in a high-octane supercar, the PlayStation Move racing wheel delivers the most intuitive, fun racing experience for screaming around corners and tearing up the track. Feel the adrenaline of high-speed racing as you jump into the driver's seat with the PlayStation Move racing wheel. Its unique design features realistic folding motorcycle handlebar grips complete with twist throttle controls, lightning fast paddle shifters to gear-up and speed away, and enhanced vibration feedback so you feel the impact as you trade paint with the competition. Take advantage of intuitive controls and superior handling to pull off advanced maneuvers like drifting as you weave your way through the pack. Take the checkered flag with the PS Move racing wheel and get the most immersive racing experience on the PS3 system. Insanely intuitive, fantastically fun racing experience. Folding handlebars allow for multiple racing modes. Realistic racing controls with paddle shifters and motorcycle-style throttle. Precise motion tracking for responsive handling of your vehicle. An innovative folding grip design will allow you to switch between racing a sports bike to a high-octane supercar. Feel the intense vibration feedback of your vehicle as you trade paint with the competition. * PlayStation Move Controller not included.